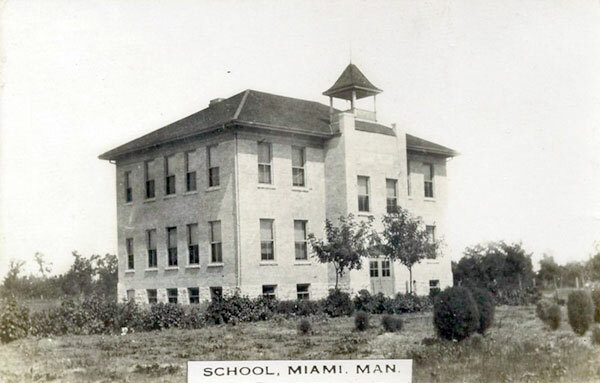 The Miami School District was organized formally in January 1879. Four years later, a log school building was constructed at NW32-4-6W, one mile south of the present village of Miami, in what would later become the Rural Municipality of Thompson. Called Blair School, it closed in 1889 and a disused Presbyterian Church building was used as a school until 1893. 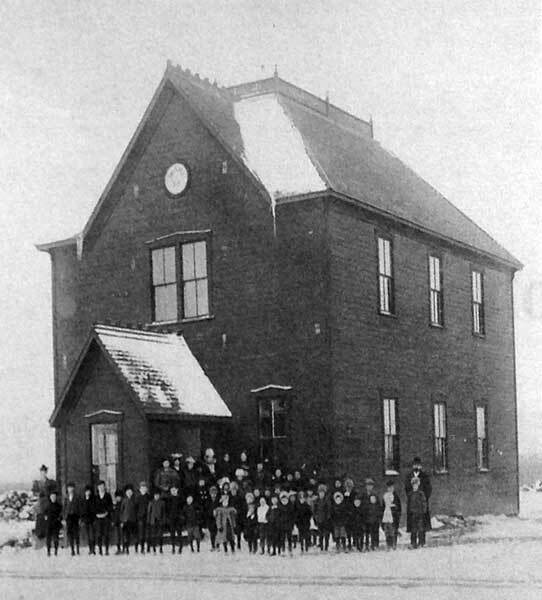 With the arrival of a railway in the area, in 1893, the town site for Miami was laid out and a two-storey, two-classroom wood frame school building was erected there. Known as the “Red School,” it was expanded in 1903 with two more classrooms, although one of the new classrooms was not used until 1908. In 1912, a two-storey, four-classroom bridge structure replaced the “Red School,” at a cost of $15,425. 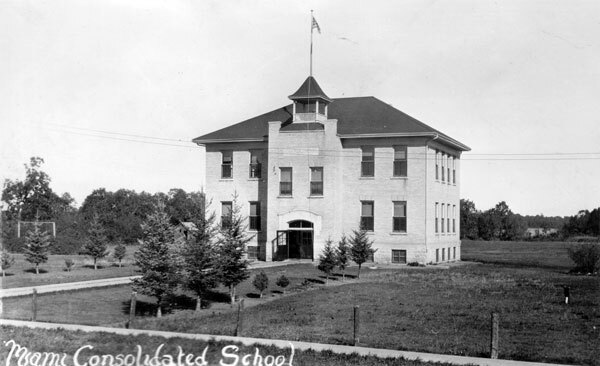 In August 1917, it became Miami Consolidated School No. 74, consolidating with Morton School No. 652 and Nobleton School No. 1119. The present elementary school was constructed in 1954. It became part of the Midland School Division in 1961 and the Miami Collegiate for grades 9 to 12 was built. Among the teachers of Miami School were Dorothy Irene Madill Hudson, Marjorie Ann Dewar, and Carolyne Alexandra McBean. GR8461, A0233, C131-1, page 31.